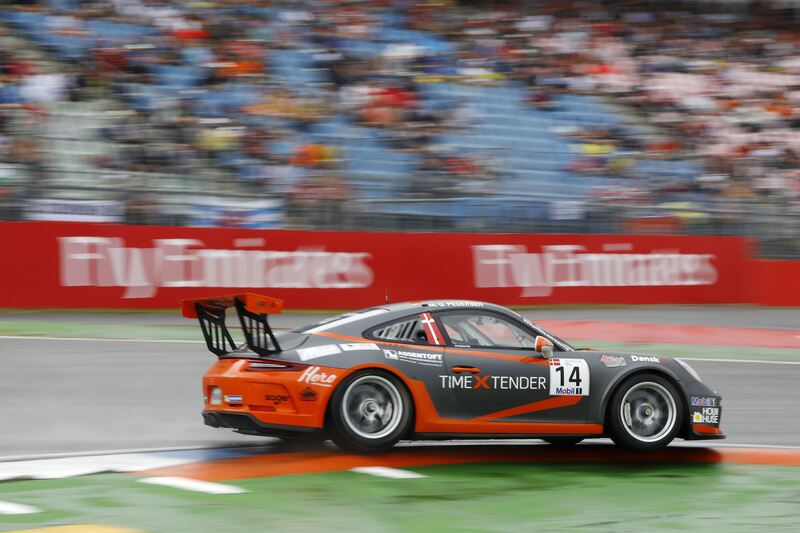 This year’s fifth round of Porsche Mobil 1 Supercup visited Hockenheim track in Germany, where Porsche really went all out to deliver a great race at their home track. The qualifying had been a bit of a lottery, where it rained shortly prior, and the track dried out during the qualifying session. Nick Yelloly took Pole Position ahead of Dane Mikkel Overgaard Pedersen, Mattia Drudi, Thomas Preining, and the championship leader Michael Ammermüller. Jaap van Lagen initially qualified seventh, but since he carried the penalty from Silverstone in form of a five-grid penalty due to a collision, he then had to start from 12th position. The race on Sunday started on a totally dry track for all the 31 cars. The start went off fine in front, with the usual chaos at the back where Josh Webster got spun around on the hairpin by Mark Radcliffe. Luckily, Webster could continue. On the second lap, there was another incident on the hairpin with Dylan Pereira and Michael Ammermüler having a contact. Mattia Drudi overtook Mikkel O. Pedersen at the start of the third lap, but the young Dane kept hanging on. There were a lot of battles around Ammermüler, where Pereira drove past for a short while, before the German reclaimed the spot. Thomas Preining got real close behind Pedersen, which gave the Dane real sweat. Larry ten Voorde came too far in the corner before the Mercedes Tribune and hit one of the styrofoam signs, so that the drivers couldn’t see when they were 100 metres from the corner. Alberto Cerqui and Richard Heistand had a little contact on Turn 2, where the Italian outbraked the latter. The stewards gave Cerqui a three-seconds penalty for the incident. Mikkel O. Pedersen did a braking mistake on Turn 2, so both Preining and Ammermüler could chase him on the way to the hairpin. Both made it past, but Preining came too far out and Pedersen could reclaim his place. He was side by side with Ammermüler throughout the next turn, but eventually he had to let it go when he was on the outside in front of the Mercedes Tribune. Zaid Ashkanani was in a light contact with Gustav Malja on the way to the hairpin, but both drivers remained on the track. Preining forced Pedersen to make a small mistake three laps before finish, so he could drive past. Pedersen attempted to get the position back but it didn’t happen, and to make things worse, Dylan Pereira also overtook the Dane. Jaap van Lagen overtook two men in the hairpin on the very last lap. The overtaking, however, happened with a little contact with Igor Walilko and Gustav Malja. But the Dutchman managed to get past them. Tom Sharp outbraked himself in the Motodrom corner, but he was already outside the points. All in all, Nick Yelloly got a perfect victory, where he didn’t see a single car throughout the race. 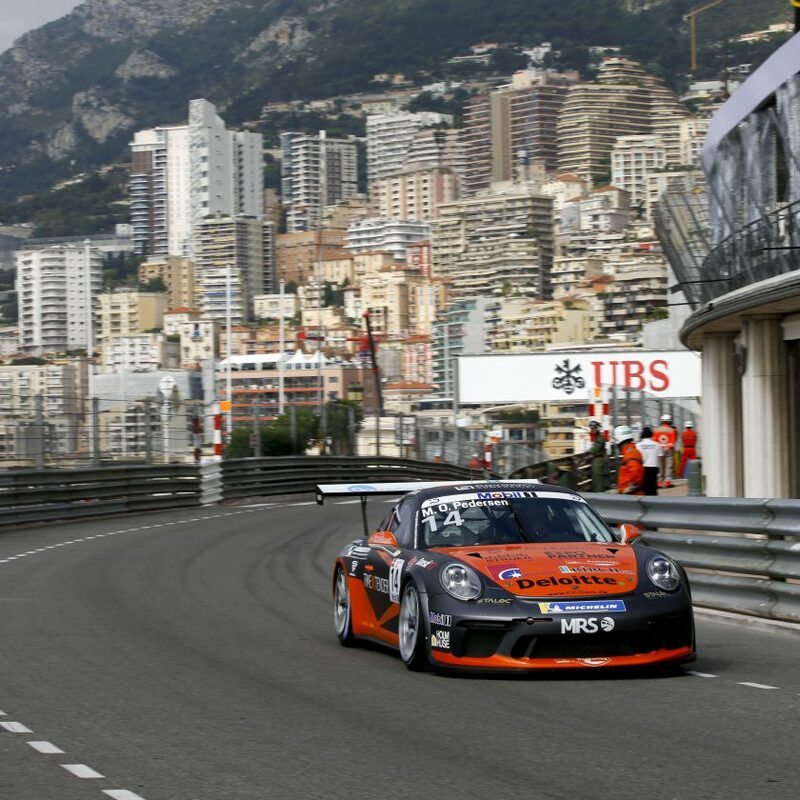 Mattia Drudi and Michael Ammermüler completed the podium, while Thomas Preining and Dylan Pereira finished the race in front of Mikkel Overgaard Pedersen, who drove another great race coming home in 6th, after finishing 5th earlier in the season in Monaco. 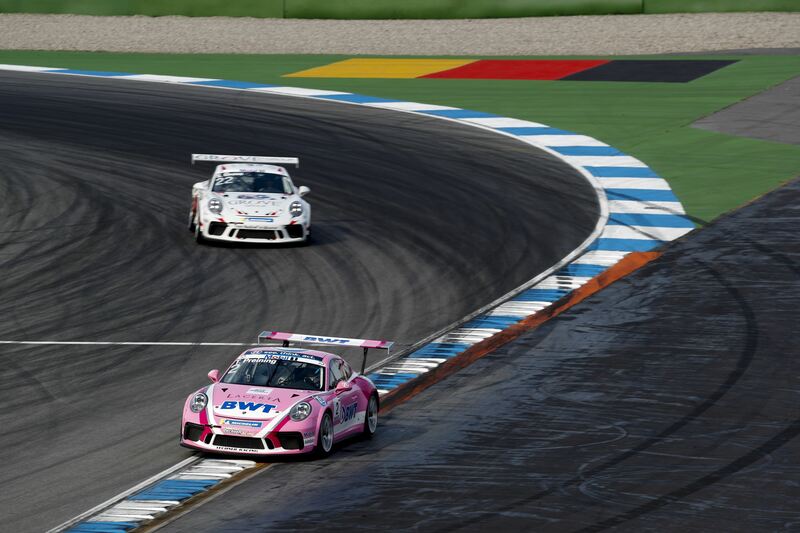 Michael Ammermüler continues to lead the championship, ahead of Nick Yelloly and Dylan Pereira. 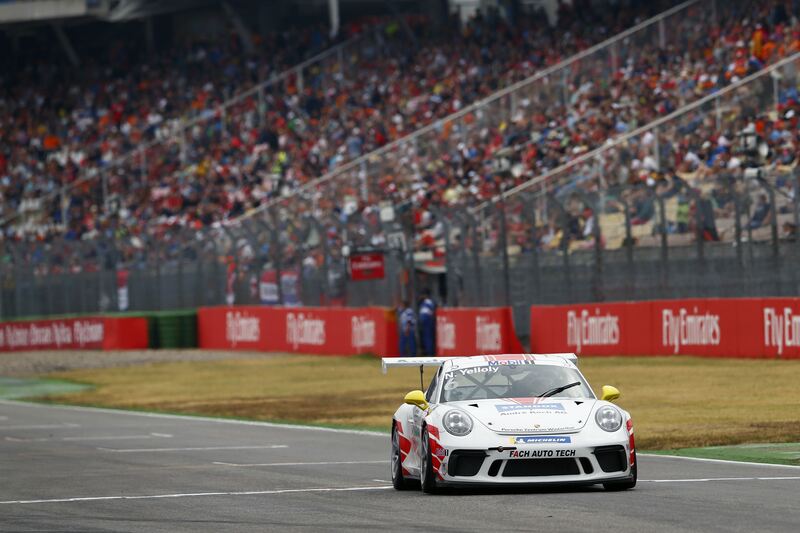 The drivers will now have five days to relax, before Porsche Mobil 1 Supercup drives the next round at the Hungaroring next weekend. Wednesday March 6th, 2019 Jens Jensen Comments Off on Fifth season for Mikkel O. Fifth season for Mikkel O.